One of the two Macy's recordings Jim did that launched him on his career in 1949. This was a small regional label associated with the Macy's department store chain based in Texas. Hence distribution was limited and the few surviving copies of this release are quite valuable. 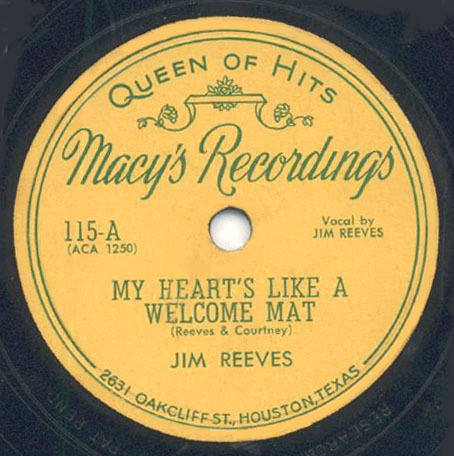 The song "My Heart's Like A Welcome Mat" was co-written by Jim along with Al Courtney, a radio colleague.